Can you imagine feeling a shock in your face as you brush your teeth or shave? If you have trigeminal neuralgia (TN), you may know exactly what it’s like. • Can you imagine feeling a shock in your face as you brush your teeth or shave? 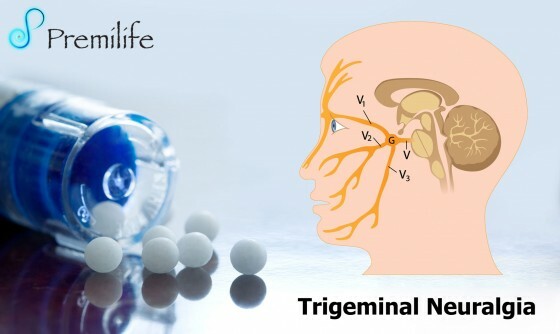 If you have trigeminal neuralgia (TN), you may know exactly what it’s like. You may feel extreme numbness, tingling or burning on a part of your face. Any vibration on your face, even from talking, can set it off. The condition may come and go, disappearing for days or even months. But the longer you have it, the less often it goes away. • Your trigeminal nerve is responsible for sensations on your face. The cause of TN is probably a blood vessel pressing on the trigeminal nerve. Tumors and multiple sclerosis can also cause TN, but in some cases the cause is unknown. • TN usually affects people over 50, especially women. Medicines and sometimes surgery can help with the pain.